The children’s program offers introductory classes for students ages 2.5 years of age to Kindergarten age. These programs focus on developmental skills, and cover basic tap, ballet, and creative movement curriculum. They are a safe place for students to develop their love of dance while still absorbing key technical elements that are needed to continue dance into their future. Emphasis on understanding dance vocabulary, coordination, confidence, engagement among peers, and fun. The TOCD recreational program is built for students Grade 1 and up. This program is cumulative and builds the students' skills through a set of highly developed curriculum where all the genres work hand in hand. The emphasis is on enjoyment, technique, and movement quality. A student training in the recreational program may enjoy additional activities outside of dance, as the weekly class load is individually geared towards classes that fit their specific schedule and degree of commitment. The TOCD students that train through the recreational program are offered a multitude of optional performance opportunities, where they can also hone their performance skills and shine on stage! The TOCD Pre-Professional Program is created to build HIGHLY technical, committed, and well-rounded dancers. The emphasis of the program is to prepare for the rigors of the professional world in both dance and life. 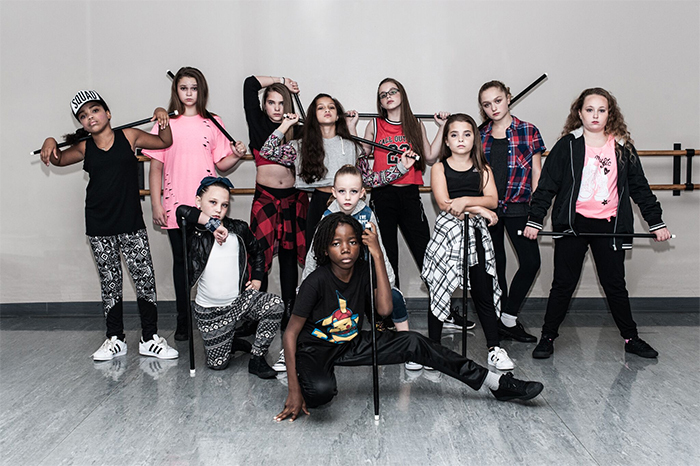 The program focuses on education, outside dance opportunities, polished technique, understanding auditioning practices, and honing performance skills. This program is excellent for students intending to scholarship to college through dance, audition for talent agencies, work in the dance industry, or simply who wish to gain the highest level of dance training and opportunities with a nationally recognized dance company. TOCD Talent is an exciting addition to the TOCD programs! This program helps guide students who wish to take on a professional dance career by giving them the skills and resources they will need to succeed. TOCD offers a wide variety of performance opportunities for students of all ages and experience levels. These include our TOCD Competition Company, TOCD Performance Team, Dancertainers (community service touring troupe), Nutcracker Performance scheduled for 2018, and more.